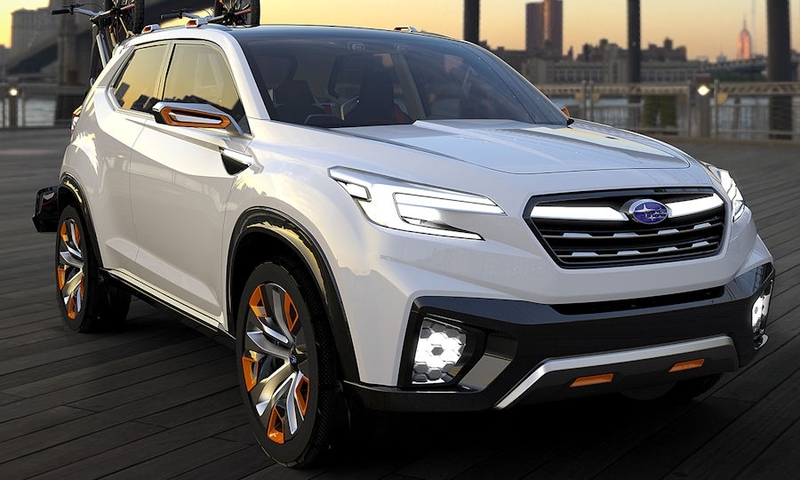 TOKYO -- Subaru is about to shift to a new global platform that will underpin its entire lineup and propel what it hopes will be a new phase of growth. Two concepts at this month’s Tokyo Motor Show offer a glimpse of the coming era. One previews the next-generation Impreza five-door hatchback. 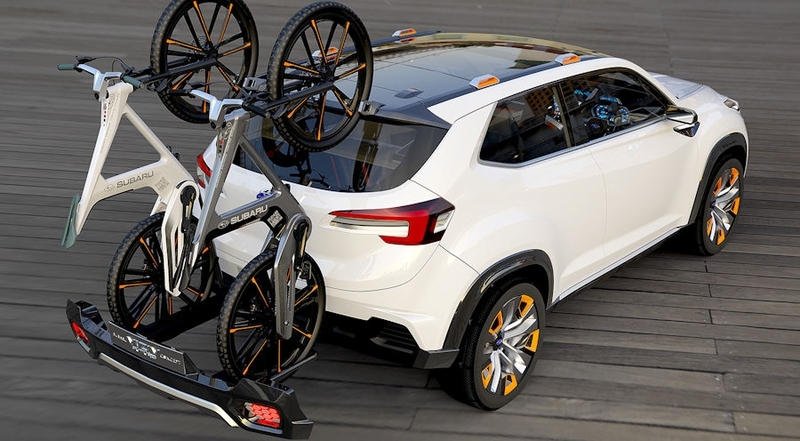 The other, the Viziv Future Concept, looks at Subaru’s vision for green drivetrains and safety. 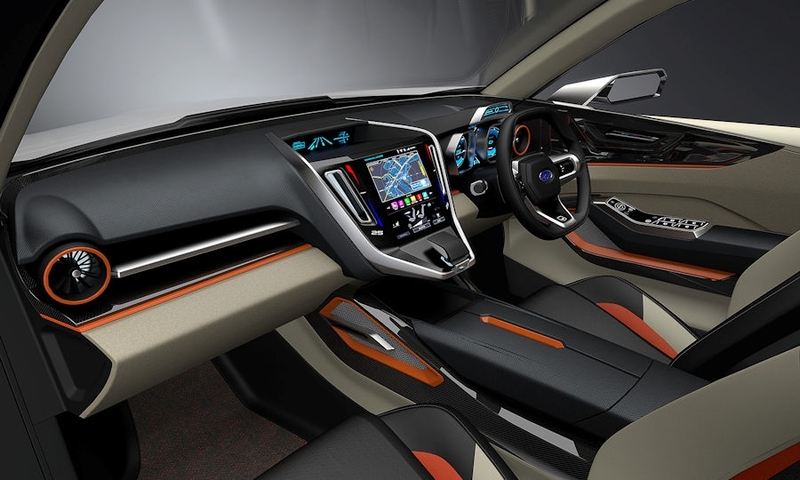 The Impreza 5-Door Concept previews a full model change expected to go on sale in the U.S. in late 2016 as a 2017 model. 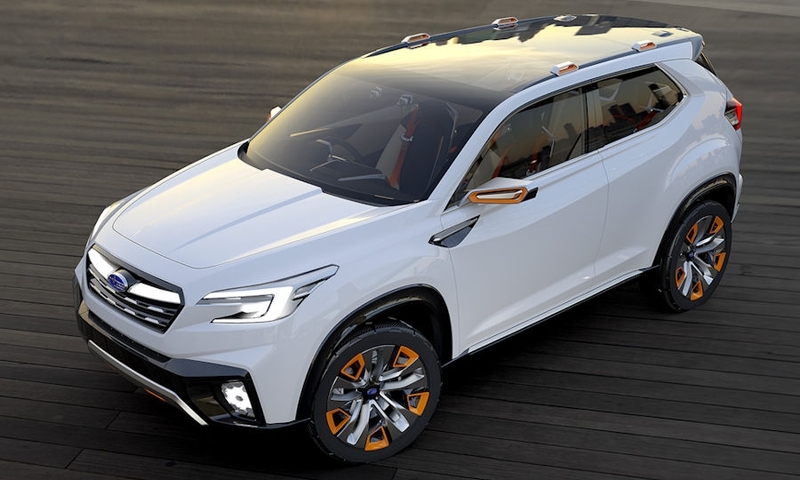 It will be the first vehicle on the new platform to be used in all redesigns plus a new full-size crossover. Renderings of the Impreza concept show an aggressively creased hatchback with a low and wide stance and pronounced shoulders over the wheels. With a fastback roofline and minimized greenhouse, the design cuts a meaner silhouette than the current generation. 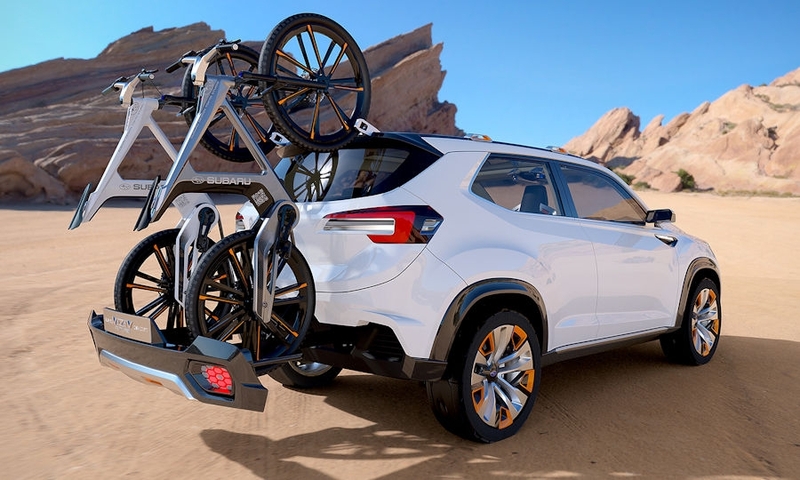 Subaru said designers were targeting a “dynamic and solid” look. 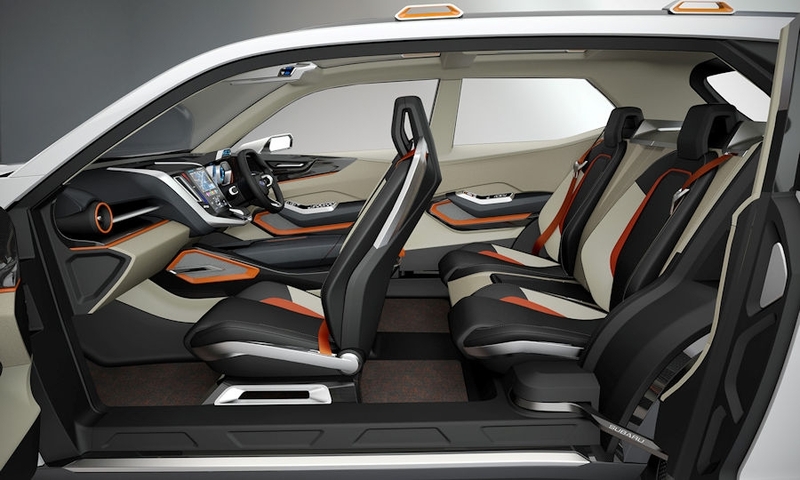 The Viziv Future Concept encapsulates several technologies that Subaru is pondering. 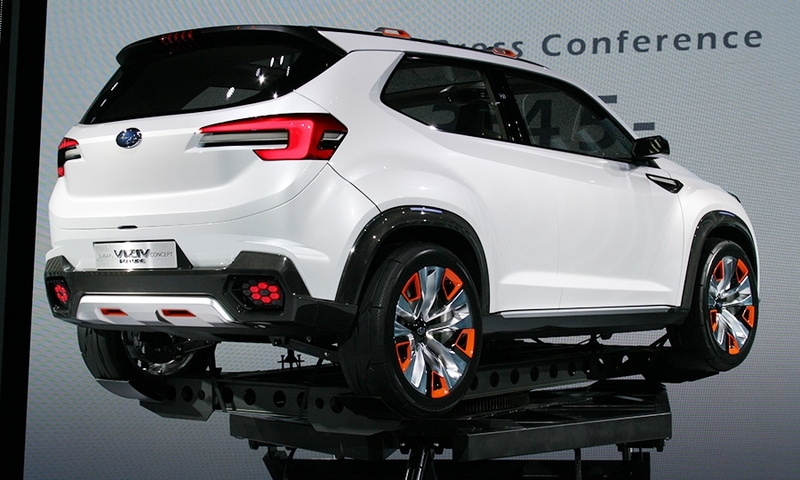 On the outside, the Viziv (VEE’-ziv) is a stout and sporty compact SUV. 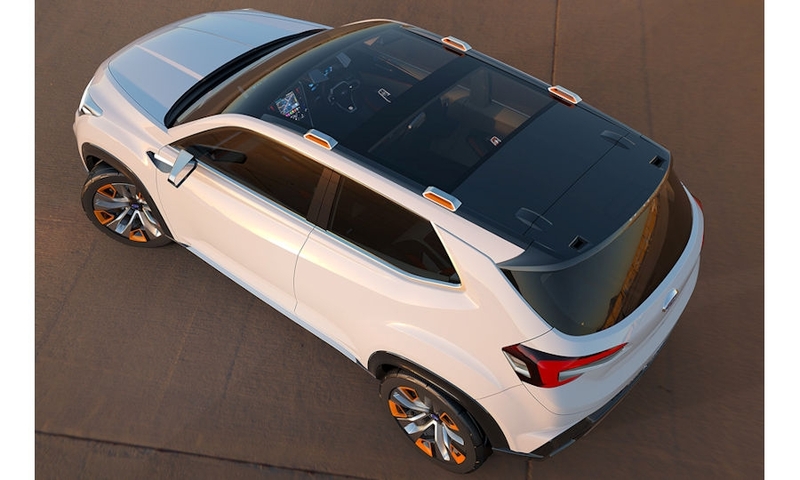 With clean, linear creasing and distinctive beveled shoulder paneling under the side windows, the white concept cuts an active go-anywhere aura with its safety-orange accents and black wheel arch moldings. It has a massive panoramic glass roof and suicide doors. Under the hood, it has a direct-injection downsized turbocharged engine mated to an electric motor hybrid system. Motor power positioned in the rear would provide symmetrical all-wheel drive. That would enable designers to scrap the propeller shaft for a flat floor and deliver torque vectoring to the wheels for precision handling. The goal is to stay true to Subaru’s awd DNA while boosting fuel economy through electrification and more effective combustion. 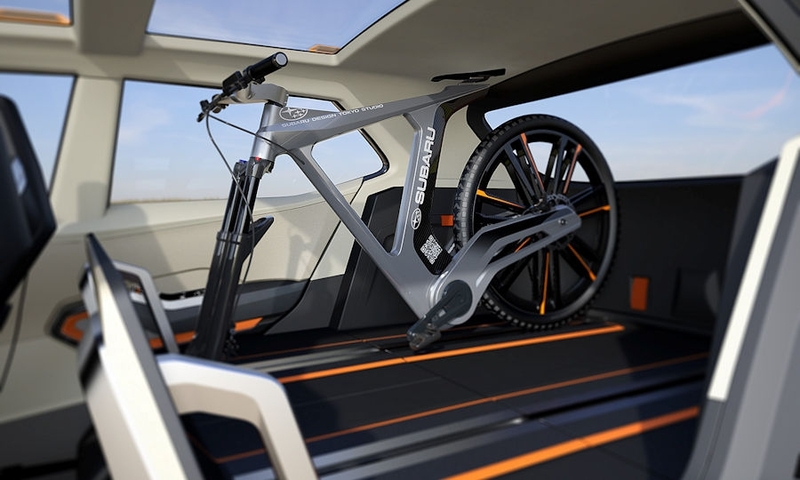 Subaru also is using the Viziv Future Concept to showcase its ideas for safety technology, autonomous driving and car interconnectivity. 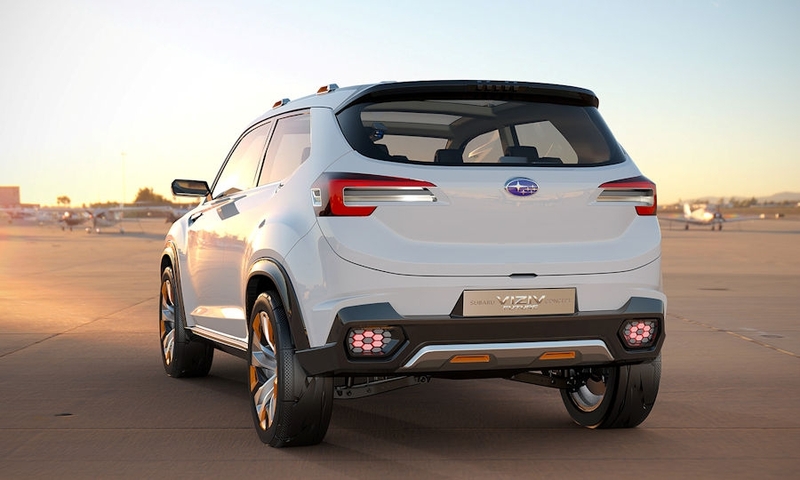 Subaru says future cars will have intelligent traffic telecommunications systems to communicate with other vehicles and the infrastructure to help navigate, avoid accidents and assist with such functions as automated parking. Detailed mapping and precision GPS guidance will also evolve to enable safer driving, Subaru says. Subaru is trying to position safety as a key selling point, centered on its EyeSight precrash automatic braking system. 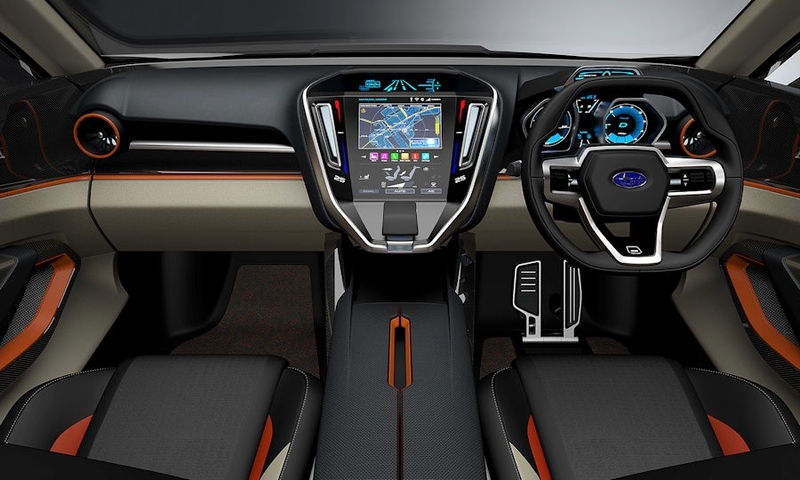 In the Viziv Future Concept, Subaru envisions beefing up that technology to combine an improved stereo camera with ultradetailed mapping, vehicle-to-infrastructure connectivity and surround-view radar sensors to create a safety bubble around the vehicle. 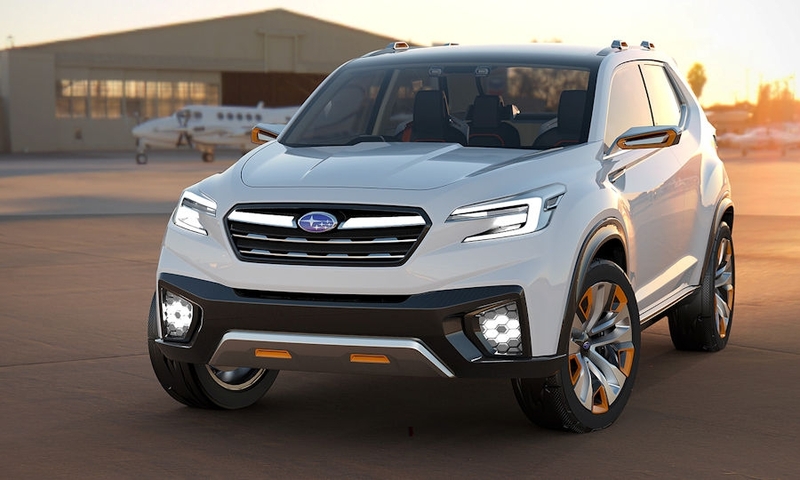 Subaru, gunning for a seventh straight year of record U.S. sales, aims to lift global sales to 1.1 million vehicles in the fiscal year ending March 31, 2021, from a record 910,700 vehicles it sold worldwide in the fiscal year that ended March 31. It is pulling forward capacity expansion at its Indiana factory, its only overseas assembly plant, to meet booming U.S. demand. The expansion will allow Subaru to begin production of the next version of the Impreza there by the end of next year. 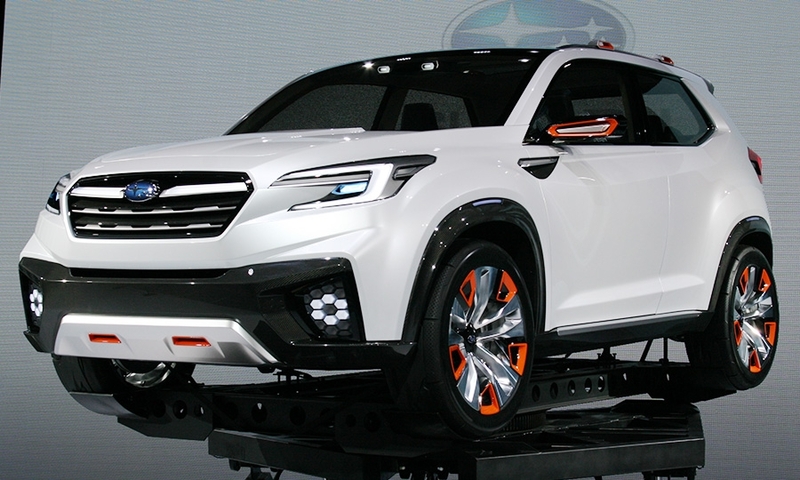 To support its growth targets, Subaru also is ramping up spending on better drivetrains. On the drawing board is the brand’s first plug-in hybrid, expected to launch in North America in 2018. Subaru also will convert all of its gasoline engines to direct injection starting in 2016. The technology will be standard in Subaru’s next-generation boxer engine. Subaru also will add cylinder deactivation and lean combustion cycles by 2020. Those efforts will hike r&d spending 16 percent to ¥97 billion ($810 million) in the fiscal year that ends March 31, the company says.